I am a writer, casual gamer, amateur radio operator, supreme law advocate, and American Patriot living in Malad City, Idaho, where I run my own floor-care business. In my spare time I can be found online on the PlayStation Network preferring online capable games for the Sony PlayStations 3 & 4. My call sign is AF7OH and my online handle has been waldowoc since the 1990s. 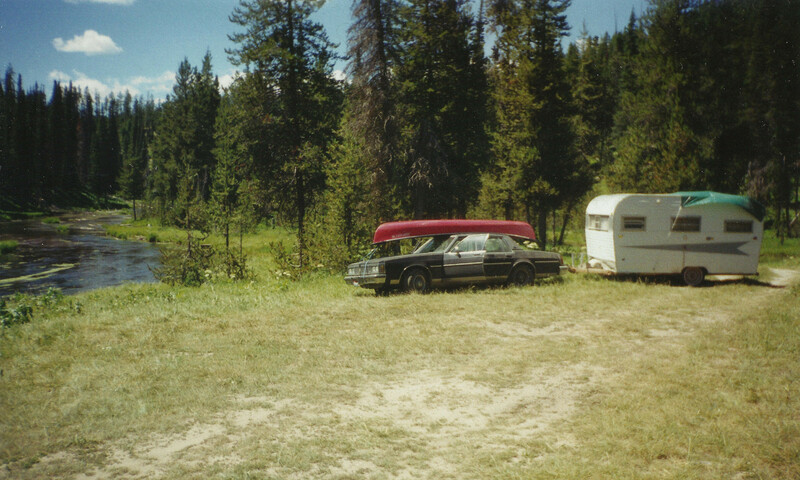 I spent the summer of 1996 camping in various places in the Targhee and Gallatin national forests while working in West Yellowstone Montana. My average day included going to work, then fishing until I caught dinner, then relaxing with a book until bedtime. At some point during that summer I decided I needed to start reading a good multi-volume epic fantasy. I am very picky about writing styles. I spent over an hour in the little book shop in West Yellowstone reading through several first pages and judging many books by their cover. 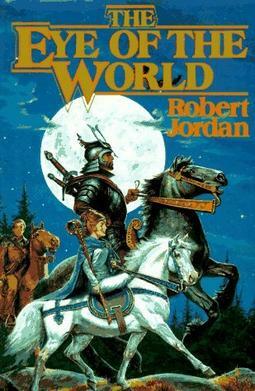 So it was that I found myself purchasing Robert Jordan’s The Eye of The World. The first few books in The Wheel of Time series, imprinted a few important truisms on my mind. While I did enjoy the characters and story, I always felt like there was no re-readability to them. Another impression was how vast this world could be; I imagined all sorts of side stories and novels unrelated to the main series, the world was that rich to me. And, lastly, I’ll never forget the most powerful impression from those early books. Call it inspiration, or something else, I don’t know, all I can say about it is that I knew that Robert Jordan would die long before the main series could come to a natural end. To be honest though, the series had all ready died for me. By the time book nine had finally been released, Jordan had started cluttering the stories with long prologues that never added anything new or interesting, often times focusing on enemy plots. Not a single one of which progressed the story or contained anything the reader would need to know to clarify something in the story proper. When I managed to trudge through those prologues, I realized quickly that now the first several chapters were just repeating what had happened in the previous books. By the time I reached the point in the book that the reader was all caught up and the story moving forward, I would notice the pages were opened half way through the book. That frustrated me. And to top it all off, there was no Matrim Cauthon. His story had ended with a major cliff-hanger and he wasn’t even in the next two books. It was then, I decided to stop reading the series. I figured I’d takeoff from there once, if ever, the series was completed. I don’t even remember reading the rest of Winter’s Heart. I may have simply put it down and walked away, never again waiting years to be disappointed by Robert Jordan. It was the last Wheel of Time book I ever purchased. When did I buy Elantris? I do not even remember. I do recall, that I had exhausted all interesting fantasy series’ available at the time, and that Brandon Sanderson had only the one book published. I bought it at a book store, though as I try to remember when or where, using the publication dates, the memory escapes me. I loved Elantris. It was so refreshing, and I enjoyed Sanderson’s style. The book became an instant favorite for me, and I hoped the author would not be another one-hit-wonder which is so prevalent in the fantasy genre. It is a book I have read twice, and will read again, yes, I consider it re-readable. Like many wheel of time fans, I was devastated when my premonition of his dead came to pass. Although the publisher did attempt to pacify our worries of a truly unfinished story with statements declaring Jordan had left behind extensive notes, I was apprehensive none-the-less. I honestly had no hope until the announcement came that Brandon Sanderson had been selected to finish the work. Still, I never reread the first nine books or made any attempt to finish reading the series. I simply had no desire to reread Jordan’s books. Also, I had lost everything I owned in a bad winter, and replacing all The Wheel of Time books at once was too much of an undesired expense. So it was that I found myself at the end of 2016 still unaware of the fate of some of my most loved and cherished characters from one of the richest fantasy worlds I had ever adored. It had been almost four full years since the end of the series was published, and over nine years since Robert Jordan had passed away, and about 19 years since I had last read from any of The Wheel of Time books. It was time. An opportunity arose in December of 2016 to borrow the audio book versions of the entire series. I took it. With a great deal of trepidation, I started the audio book series from the beginning with the intention of finally completing it. I have mentioned the re-readable aspect of these books before, and should clarify at this time. I consider some books non-re-readable for a myriad of reasons. Some are just written bad, others aren’t interesting enough to reread. There are, however, two series’ that I thoroughly enjoyed that I consider non-re-readable: J.K. Rowling’s Harry Potter books, and Robert Jordan’s The Wheel of Time. Why? Well, because I memorized them the first time. That’s the simplest straight forward answer I can give. In the case of these two series’, it isn’t a bad thing to not be re-readable. I could expand of course, and shall try a bit. Robert Jordan’s writing style is very simple and easy on the mind. His story is gentle and leaves just the right amount of the reader’s imagination, not to fill in blanks, but to… coauthor. As a coauthor, I know the story and remember it. I cannot think to myself, ‘oh, I should reread that book,’ because I remember all of it. Over 20 years had passed since I read the words that make The Eye of The World, yet as I listened to Kate Reading and Michael Kramer, I often found myself quoting Jordan verbatim before they spoke. There wasn’t much, if anything that I had forgotten in those long years. Egwene’s story is the most heart wrenching of the series. Even though I had not read past the ninth book in the series, I had read, since the publication of A Memory of Light, online fan pages and character synopses. So, I already knew what was going to happen, just not the words used, or the exact place in the story. I can say that Egwene’s death was a major reason I put off reading the series for so long. As the end of what I had all ready read drew closer, my trepidation grew unbearable. Knowing Egwene’s fate, and being in the process of rehashing her accomplishments thus far, just tore me apart inside and I totally broke down. I had to stop listening everyday, and relegated the audio readings to the one night a week I spend at my other job. In between those nights, I had to cast out all thought of The Wheel of Time. That distancing worked. It only took a few weeks before I started slipping the audio reading back into my daily life, a couple hours there, a few here. It was much like the time I would have spent reading a book anyway. By the time Jordan’s last book, Knife of Dreams, had ended, I was able to start Sanderson’s The Gathering Storm immediately, without any trepidation at all. In fact, I even looked forward to Sanderson’s turn. I finished A Memory of Light last night right at my normal bed time. I did not like Sanderson’s ending, but I did enjoy much of the final epilogue, which as it turns out, was written by Robert Jordan himself, for the most part. I could tell the difference, but I’ll get into that next time. Robert Jordan is gone now. The Wheel of Time series has ended. I feel like I have a huge hole in my heart. The past several weeks has been an emotional roller coaster. I’m not glad it’s over. For now that will have to do. Next time I’d like to compare Jordan’s portion of the story with Sanderson’s and offer my own take. Here I sit in the heart of winter with nothing to do. I spend my free time contemplating the future. I have a little over two feet of snow outside, this Ground Hog day, and temperatures below 0°C. That’s freezing if you didn’t know. Most of my hobbies are outdoor, warmer weather, sunny day hobbies. Like, Gardening, Beekeeping, and herding my flocks. This winter is different though. I am on the brink of retirement. Will it happen this year? I do not know. I am content to wait, but I’m not sure I can be as patient as I need to accept yet another winter. Still, there are a few more ‘dominoes’ I want to have in place before I tip that first one over; A few more ‘floaties’ before the big plunge. I can wait one more year, but I don’t want to. If I pull my trigger too soon, I risk missing my target. That’s where my hobbies come. Hobbies Slow me down, and give me time to think and appreciate. They are a necessary distraction to the agony of waiting for retirement. I enjoyed last years turkey herding, and beekeeping. Gardening last year was a disaster, but I enjoyed the two previous years. So here’s the dilemma, If I choose not to garden this year, I may grow too impatient for retirement and end up jumping the gun. If I choose to garden, and the opportunity for retirement arises, then I’ll have to abandon the garden and will receive no fruits of the labor. 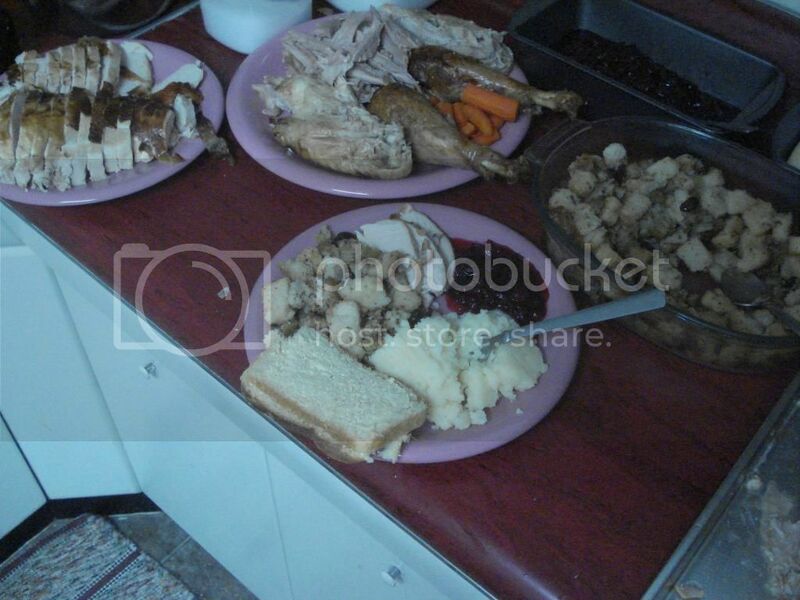 The same goes for the beekeeping, and turkey raising. One has to outweigh the other. There is also timing and cost to consider. If I choose to get more bees, and build up a few more hives, I have to commit now, like within the week. Committing now, means spending now. Hobbies are expensive. I want at least three new hives. That’s an expense of $375 for the bees, and another $225 in hive kits. Do I want to spend that much right now, on the off-chance my retirement plans do not fall into place this year? The same goes for getting more birds. I love the chickens, and I did enjoy last years turkeys, even though it was a massive learning curve between raising the two. I learned my lessons, and this year I would like to take the opportunity to apply what I learned. Just like the bees, commitment is required now. The expense is $207 plus shipping (I presume) for the birds, and another $300 for a new coop. Do I want to spend that much right now, on the off-chance my retirement plans do not fall into place this year? Its similar with gardening. You don’t realize it until you start, but gardening is expensive. I’m not going to add up the cost of seeds, though it is higher than you’d think. The main purchase I need this year, is a rototiller, $800 right off the bat. Do I want a rototiller? Yes. Will I have use for a rototiller on my catamaran? No. At least the rototiller won’t be needed ’till April (pun intended). Do I want to spend that much right now, on the off-chance my retirement plans do not fall into place this year? I am leaning towards gardening this year, but not for canning. That’s the way I did it the first two years, and it worked out good. I am leaning toward getting the bees too, for pollination. For those two hobbies, once the money is spent, there is no farther monetary expense. After that, it’s all about managing time. Unless I install an automated sprinkler system, which I will be able to this year, watering the garden is the greatest tax upon my time. Moving the sprinkler every 15 minutes for 3 hours straight is also very disruptive. I updated my desktop PC yesterday, (# pacman -Syu) only to discover nothing would launch after login. I use KDE 5 on Arch Linux. Whenever I clicked the ‘K’ application menu, I received a message indicating that the org.plasma.private.kicker module was not installed. I worked around it for a day (yesterday, 2017-01-23) by holding the shift key and typing the first letter of the application I wanted to run. [SHIFT+F] to bring up the run command and then finishing with ‘irefox’ would get my web browser running. That got me through the day yesterday, but today, I decided to take a few minutes and try to resolve the issue. Since I didn’t know what the problem was, I simply decided to reinstall xorg-service and the plasma group. Today is the fourth day that the United States Postal Service is refusing to deliver mail to my mailbox. Any mail. No tracks at all in the snow, not even to the neighbors mailboxes. It’s also the second day that I have no running water. Again. In the past, it’s been a lack of electricity that turns the heaters off causing the pipes to freeze. A 14-1/5 hour power outage and circuit breakers popping to be particular. This time, all circuit breakers are on, and all heaters (two pipe heaters on the pipes, one magnetic oil-pan heater on the bottom of the brand-new pressure tank, and a 750 watt utility heater) are on. The pump-house is very warm, well* above freezing and all pipes below the pump-house are buried 5 feet deep, so I’ve been told. It’s the… I don’t even know how many days I have been keeping the second chicken waterer in the house and switching it out with the one in the coop. I do know, that last year I did not have that problem. I never had frozen water in the chicken waterer last year, not a single time. I also keep a utility heater in the laundry room. Because of that, and the fact that this winter I have more laying hens, I keep the eggs in there. ALL the eggs froze yesterday. Two dozen eggs in mashed paper egg boxes froze, right above the utility heater. I took preventative measures this fall to avoid every single problem I’m having. Not one of them prevented any of the problems I wanted to avoid. Not a single one. I connot believe that I didn’t write a single blog entry in 2016. It’s just as well, I guess. “European Union laws require you to give European Union visitors information about cookies used on your blog. In many cases, these laws also require you to obtain consent. “As a courtesy, we have added a notice on your blog to explain Google’s use of certain Blogger and Google cookies, including use of Google Analytics and AdSense cookies. I am a Sovereign American Citizen, subject ONLY to God the Eternal Father. I am not, repeat NOT a subject of the European Union or any member country of the EU. I have absolutely NO responsibility whatsoever to the EU. European Union laws DO NOT “require” me to do a damned thing. So, waldowoc.blogspot.com now redirects to https://www.waldosweb.com/blog and I refuse to use or endorse Blogger ever again. I may decide to completely stop using, and associating with, Google altogether if that’s is how they are representing me internationally. So, a new year, and a new blogsite! And the European Union can shove it up there collective asses! #BoycottBlogger #GoogleSucks! #TheEuropeanUnionCanShoveItUpTheirCollectiveAsses! #EuropeanUnion #EU #EUSucks! #EuropeanUnionSucks! #AmericanPatriot #SovereignCitizen @Google #FuckYou!